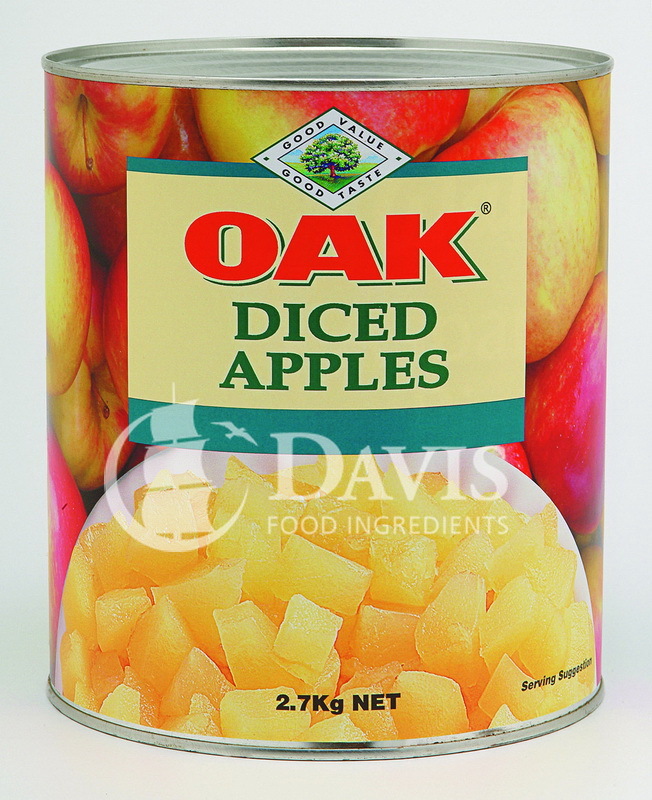 Diced cooked apple approx. 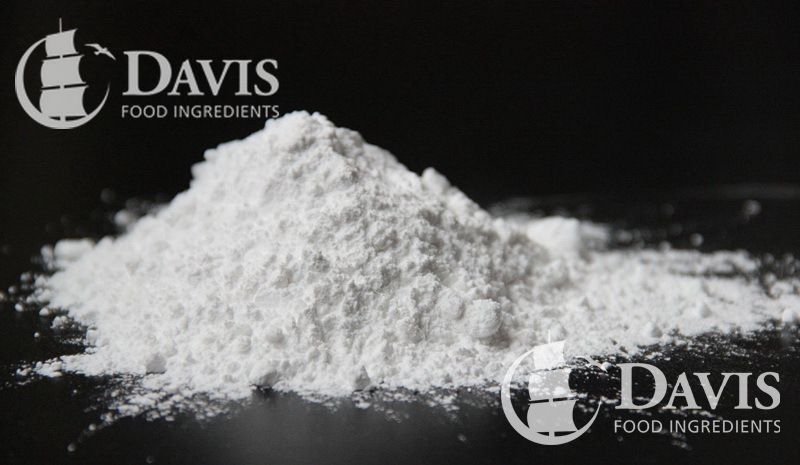 10 x 10mm in a convenient pouch pack for various uses within restaurants and bakeries, with the slightly higher cost offsetting disposal costs. 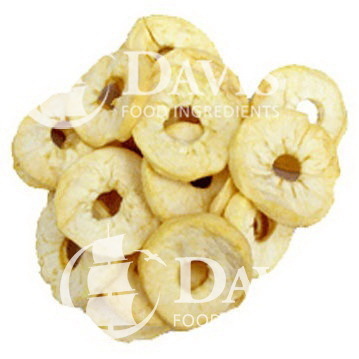 Dehydrated Apple rings at 20-24% moisture with a yellow colour most suited for use in a retail dried fruit mixes. This product is ready to eat and can be used as a snack item. 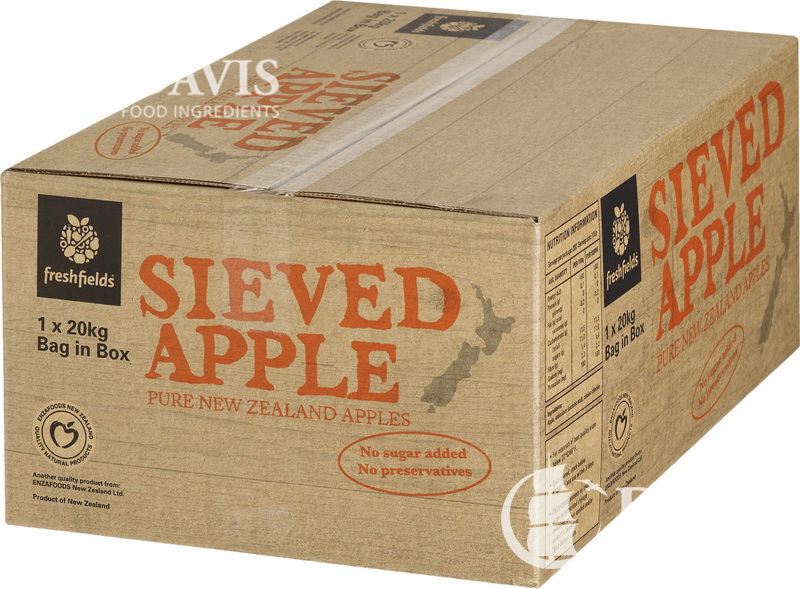 Chilean small apple pieces dehydrated down to 5% moisture with added S02 to prevent browning, is used where water activity or moisture migration needs to be controlled. 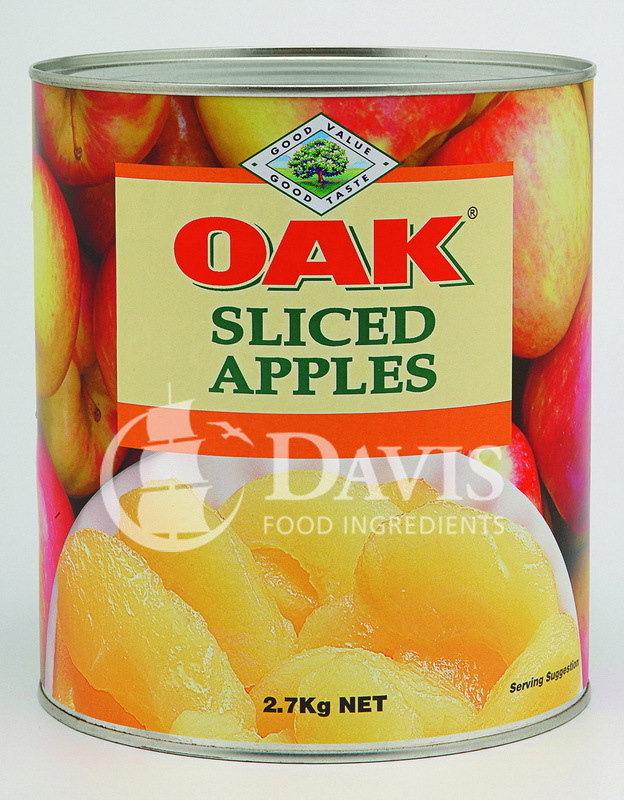 A classic bakery ingredient made up of 70% uncooked diced and 30% cooked apple puree. 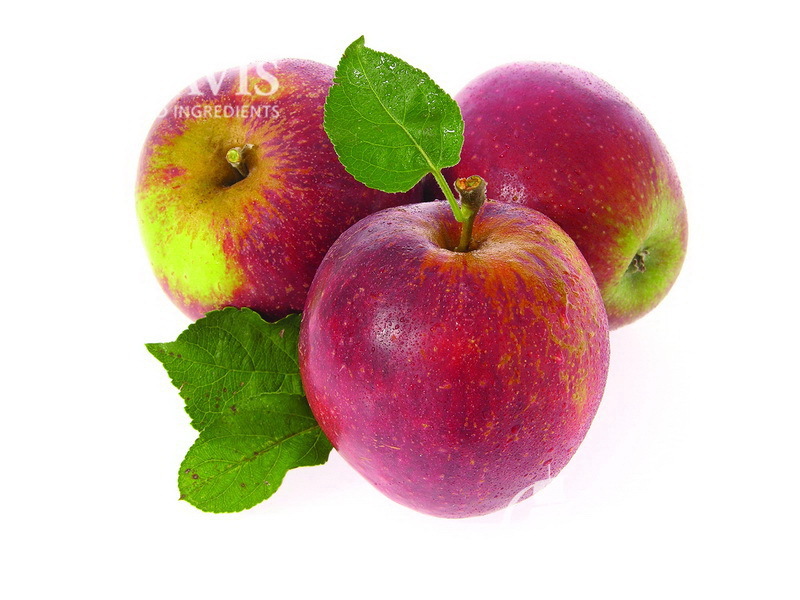 This is a fantastic apple base suitable for further processing, maintaining a firmness of the apple not seen in other packs. It can be stored at an ambient temperature until opened. 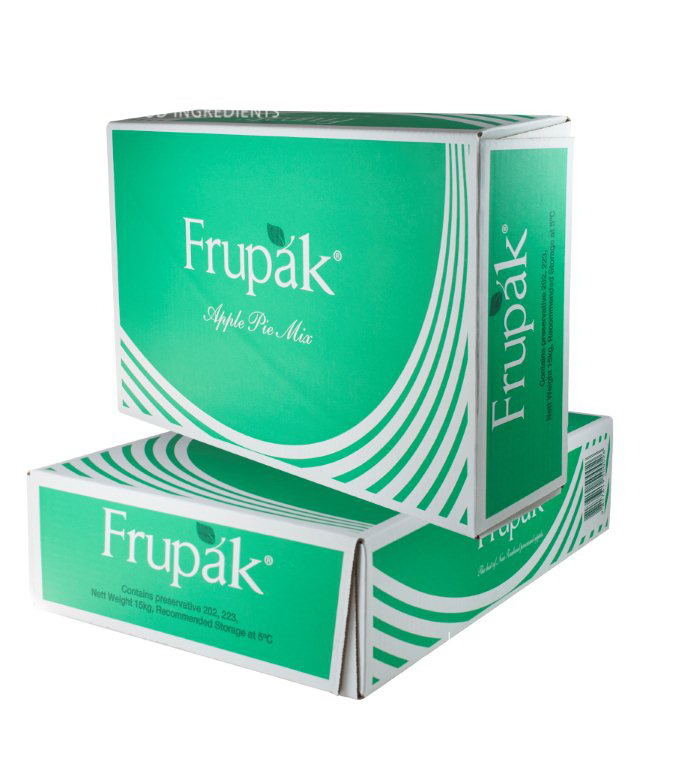 Made from NZ Braeburn apples this offers manufacturers a consistent ingredient that has undergone heat treatment with only the addition of Ascorbic Acid. 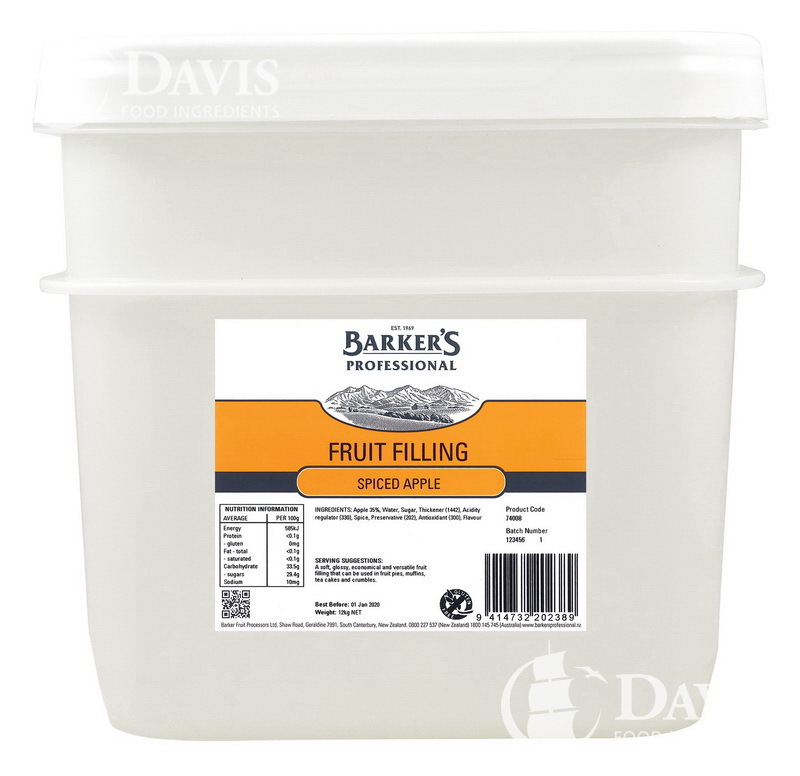 An economical and versatile fruit filling which can be used in fruit pies, muffins, tea cakes and crumbles. 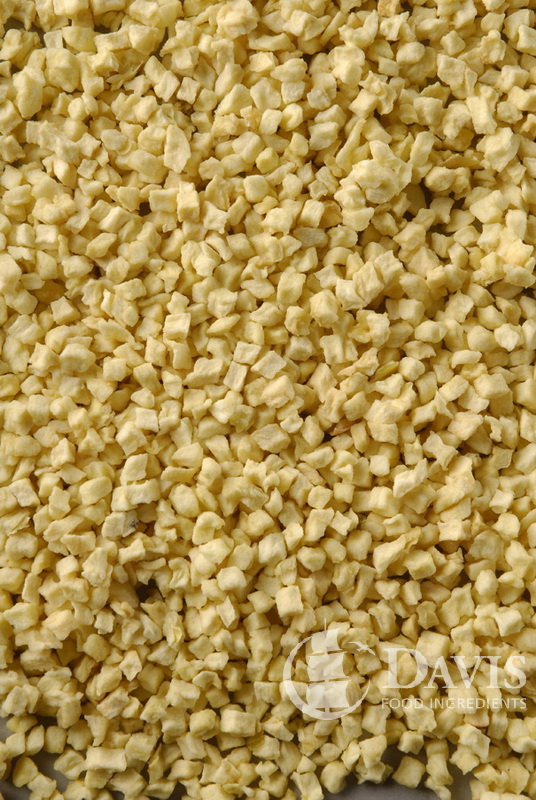 Diced cooked apple for various uses within restaurants and bakeries. 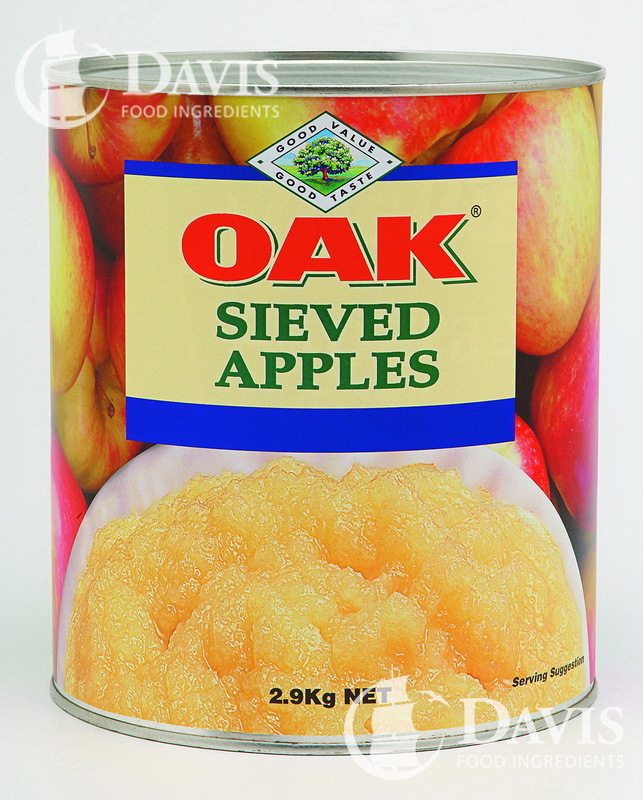 A thick apple puree that comes in a can, most suited for the smaller user when the 15kg BIB is too large. 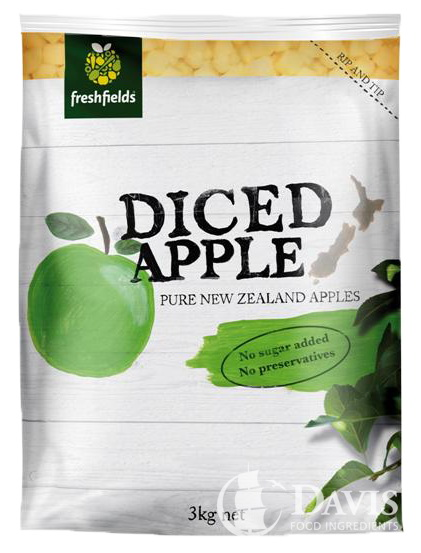 Sliced cooked apples with added Ascorbic acid, come in a convenient bag in box pack ideally suited for the larger bakery for use as an ingredient. 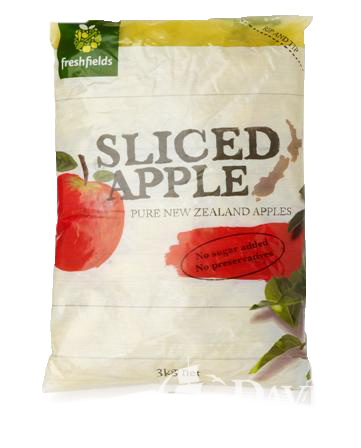 Sliced cooked NZ apples in a convenient 3kg pouch ideal for restuarants and smaller bakery use. 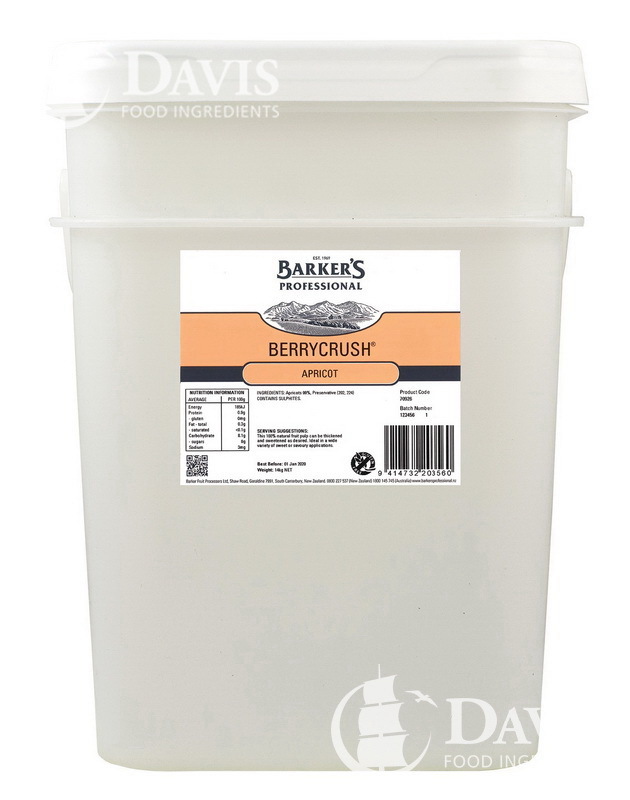 Natural fruit pulp that can be used in both sweet or savoury applications. 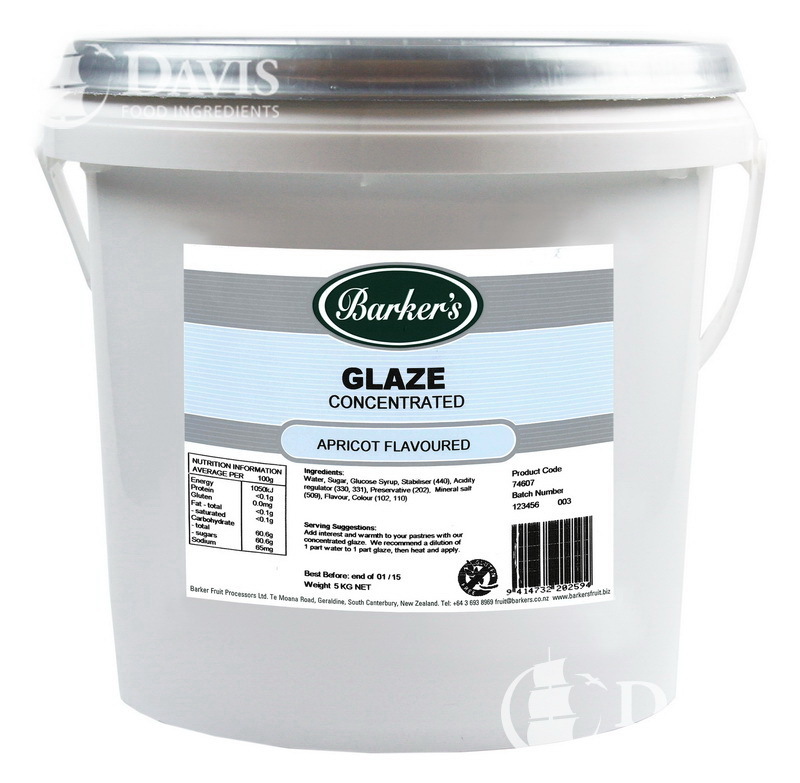 Just heat and apply this high gloss, ready to use glaze to danish pastries. 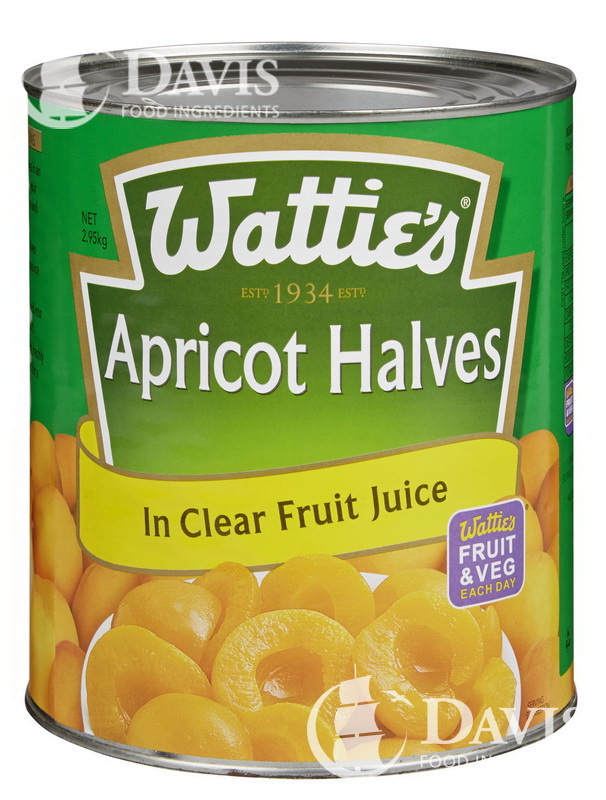 This retail pack of Apricot Halves in Natural Juice are suited for those who wish to avoid added sugar. 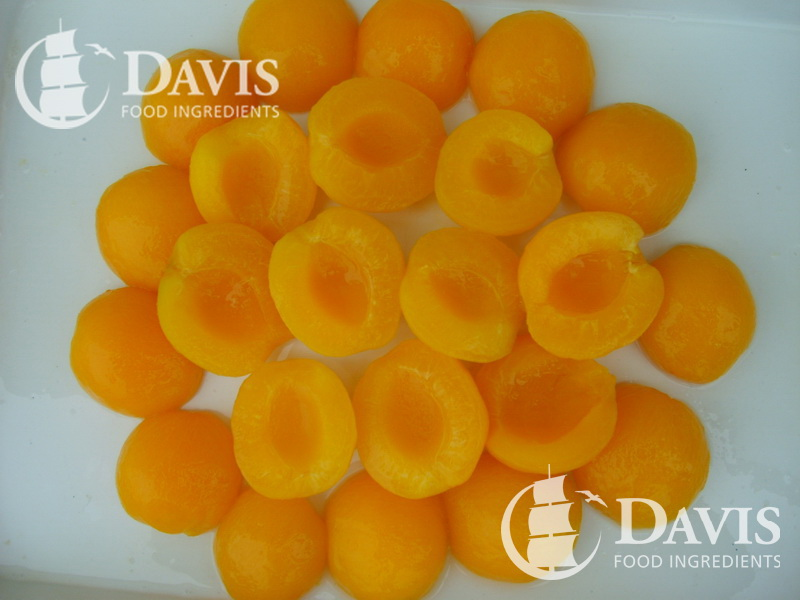 Preserved in a light sugar solution these Apricots Halves are ideal for patisserie and breakfast bar use, due to consistent sizing and colour.